I always breathe a sigh of relief once summer rolls around. There’s just no other season that gives me all the feels the way summer does. From BBQ’ing and family vacations, to iced coffees (okay… that one is every season) and days spent by the pool — summer is just the best. 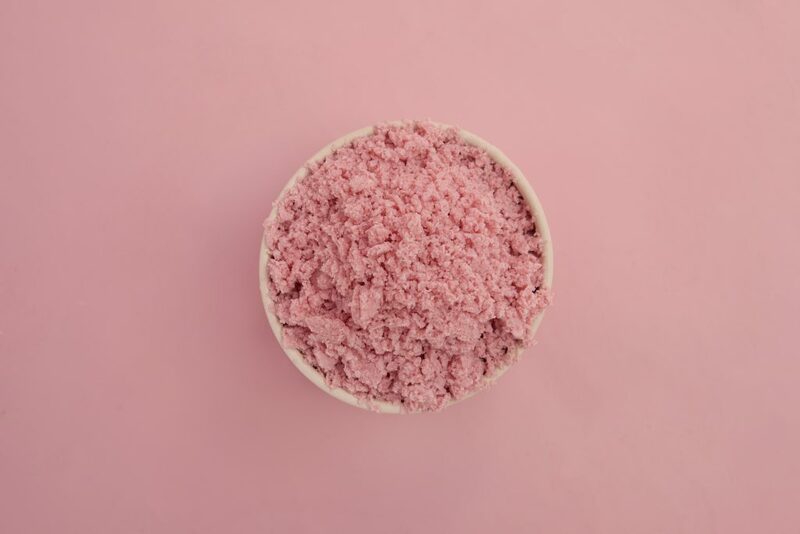 I also love summer because of all the simple, no-bake foods it brings — like our Raspberry-Coconut Shave Ice. 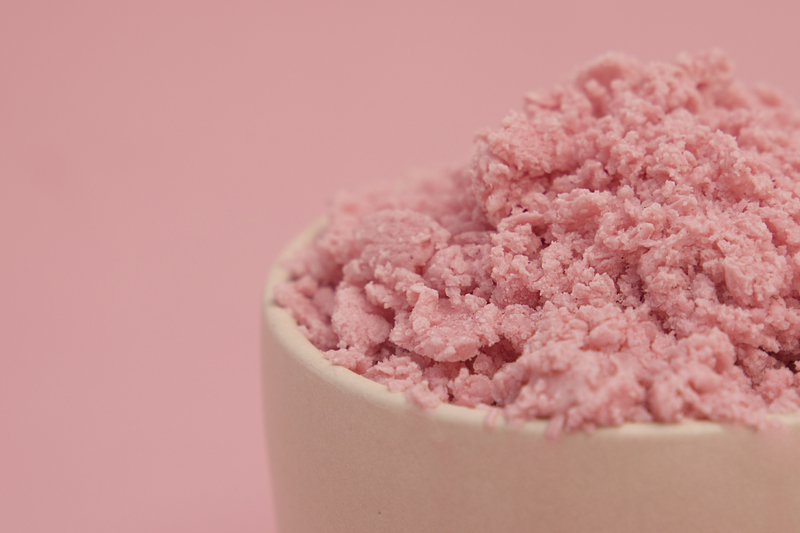 Now, I’ll admit for more than half my life I was calling this stuff “shaved ice” — oops! I was wrong. If you want to sound legit, it’s pronounced without the -ed. Our recipe for shave ice gives you that cool, melt-in-your-mouth feel, and has just the right amount of sweetness from the raspberries and a touch of maple syrup. Plus, the coconut milk adds some next-level creaminess. Blend these magical ingredients together and you have a guilt-free summer treat that I know you and your Yumi baby will love! In a blender, add in all 4 pints of raspberries. Blend until the raspberries are smooth. Once the raspberries are blended, put the pureed raspberries through a mesh strainer to remove the seeds from the puree. Keep in mind, if you like the texture of the seeds, you can skip this step! 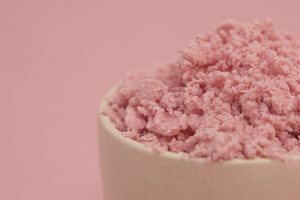 Put the strained raspberry puree into the blender, and add in the coconut milk, maple syrup, sea salt and vanilla extract. Blend for approximately 30 seconds, and then transfer the ice cream mixture into a deep baking sheet or Tupperware dish. Place the mixture in the freezer for 1-2 hours, until completely frozen. Remove the sheet pan from the freezer and allow to sit at room temperature for 5-10 minutes, until you're able to scrape off layers to make shaved ice. Not into shave ice? Or already worked out your arms at the gym? Here are some alternate ways to prepare this delicious frozen treat. If you're fancy and you have an ice cream machine, put the original liquid mix in your ice cream maker and let it work it's magic. If you don't want to scrape off layers to make shaved ice, put the frozen mixture back in the blender and make some creamy ice cream!